Neato Robotic’s Botvac is no longer the only robot vacuum cleaner capable of mapping the rooms it’s assigned to clean. iRobot’s new Roomba 980 can now accomplish the same feat, albeit in a slightly different fashion. Where the Botvac Connect shoots lasers from a spinning turret on its topside, the Roomba 980 uses a variety of sensors and a low-resolution camera to build its map. 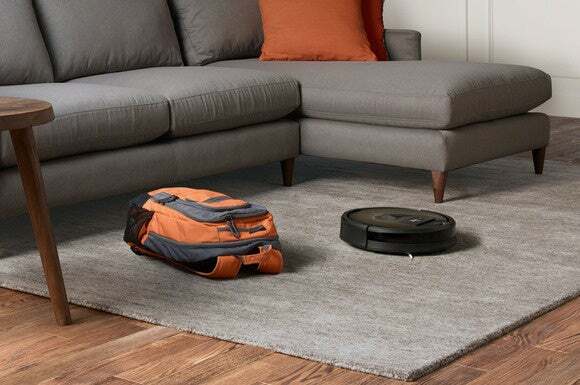 Unlike the Botvac, which scans the room and builds its map before it start to clean, the Roomba 980 builds its map while it cleans, using a technology known as Visual Simultaneous Localization and Mapping (vSLAM). In a nutshell, vSLAM describes a process by which the robot explores its environment, constructs a map, and then determines its physical location on that map. In the case of the Roomba 980, a low-res camera pointed at the horizon detects unique patterns of light and dark in the vacuum’s environment. It can detect the presence of windows on walls and horizontal and vertical edges, such as tables, chair legs, and the corners of walls. These features become landmarks on its map. When the Roomba 980 draws a map of your home as it vacuumes, it will take into account objects that it must navigate around, including furniture and clutter. At the same time, a floor-tracking sensor measures the distance and direction the vacuum has traveled. This will help the vacuum travel along straight lines where there are no obstacles in its path, much like the Neato’s Botvac series do. The sensor also records the area of the map that the vacuum has already covered, which should help maximize the life of its new lithium-ion battery. iRobot says the Roomba 980 can vacuum a bare floor for up to two hours and can clean an entire level (with or without carpet) by automatically returning to its base station to recharge its battery as needed. The Roomba 980 is iRobot’s first robot vacuum to have a Wi-Fi adapter onboard, another feature it shares with the Neato Botvac Connect. iRobot will offer Android and iOS apps that can be used to program the vacuum and to start a cleaning cycle from anywhere you have Internet access. The app will also report information on cleaning status, offer cleaning tips, and provide direct access to iRobot’s customer service. 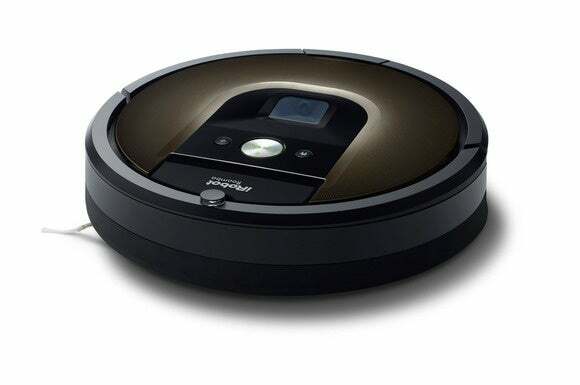 The Roomba 980 will be priced at $899 when it goes on sale September 17.